Kurt Schwitters was born in Hanover in 1887, and completed a conventional course of study at various institutions, including the Dresden Academy of Art. He married his cousin Helma in 1915, and served briefly in the army in a clerical capacity in 1917 before being discharged on grounds of health. He suffered from intermittent attacks of epilepsy throughout his life. Obviously that is not everything that could be said about Kurt Schwitters. Kurt and Helma, 1918. Photos courtesy of the Kurt und Ernst Schwitters Archiv, Sprengel Museum, Hanover. The defeat of Germany in 1918 brought with it violent changes, with the collapse not only of the economy but also of old notions and idealisms. This was particularly true in the visual arts where, added to the general sense of disillusion, there was also the impact of the popularisation of photography and cinematography to contend with. All over Europe artists were looking for a complete break with the past, and it was to the Dadaists in Germany and Switzerland that Schwitters was first attracted. But he did not remain long with them for the essential nihilism of Dada, the rejection of art per se, and the rejection of individual values, was ultimately foreign to him. He became an iconoclast like the other young sparks around him, but by subverting the norms of artistic representation, not by seeking to destroy the idea of art itself. He is said to have been barred by the German Dada group for being ‘too bourgeois’, and in fact he was not only still living with his parents in their solidly middle class building in Waldhausenstrasse, but had a safe professional life as a commercial designer and typographer. Studio portrait of Kurt Schwitters in his thirties. Dreier archive, Yale University. Examples of Schwitters’ typographical inventiveness. Schwitters’ reaction to his rejection by the Dadas was to invent his own term for his art: Merz. He was said to have got the idea whilst sitting on a bus and seeing an advertisement for the ‘Kommerzbank’. Possibly, since as well as being a visual artist he was also an avant garde poet, he was considering the fact that the word could be construed as a kind of personal signature with a little self-contradictory sting attached: Komm’ Schmerz! (Come, pain! ), or, with the extra ‘m’ omitted: Komm’ Scherz! (Come, joke!). (Even farther fetched, the remaining letters of his name give ‘ur-twitters’, which with not much difficulty could be taken as referring to his later Sprechgesang work, the ‘UrSonate’ or pre-sonata). 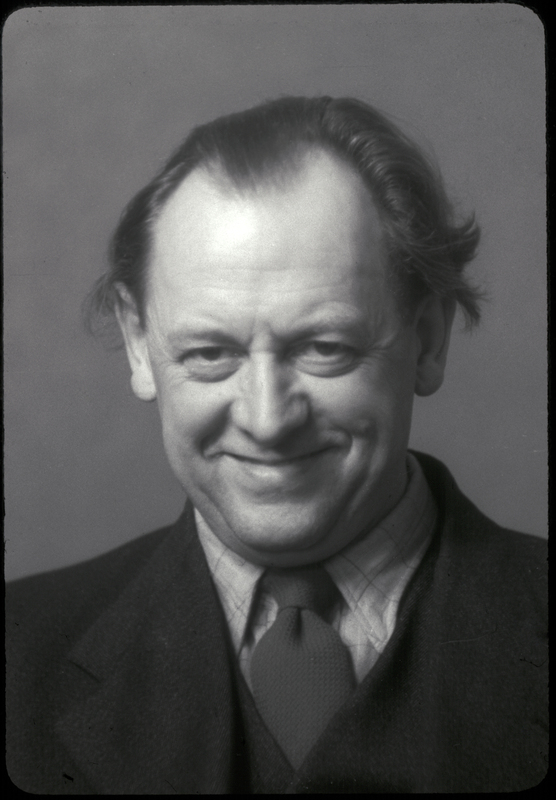 However that may be, Schwitters used the term ‘Merz’ to refer to any work of art produced by himself, whether drawing, collage, poem, children’s story, sculpture, or performance. And he christened himself, with exuberant self confidence ‘Kurt Merz Schwitters’. The word ‘Merz’ was used in the sense of a bringing together of discarded or broken fragments to make a new whole, and also of signifying the inherent one-ness of a creation that could be shattered by war or circumstance, but could be re-combined by the healing genius of the artist. Schwitters was not, it seems, particularly politically conscious, but then again, as Hitler moved towards power during the late 20s and early 30s, and the atmosphere of menace and bullying grew, few ‘respectable’ middle class Germans spoke out. An only child, and afflicted by a very visible disability, it is likely that Schwitters had been bullied as a child, and maybe also in the army. It seems a fair assumption. He was in charge of the official typography for Hanover between 1929 and 1934, and does not appear to have been aware of any danger to himself until warned by friends in 1937 that he was about to be arrested. So began Kurt Schwitters’ years of exile, together with his son Ernst, at first in Norway, a country which he had long visited and loved, and then in 1940 in England, where he first suffered the obligatory incarceration in an internment camp on the Isle of Man, then travelled to London where he met his English partner, Edith Thomas (Wantee), and endured the blitz, and finally to Ambleside and the Lake District, where he ended his days in January 1948. During his lifetime Schwitters worked across many different art disciplines, creative traditions, art forms and media, and maintained an extraordinary output of collages, paintings, poetry, performance, audio arts, theatre, photography, sculpture, architecture, installation projects. Richard Hamilton, Sir Peter Blake, Eduardo Paolozzi, Robert Rauschenberg and many later artists acknowledge Schwitters’ influence on their own art and on the development of Pop Art in the early 60s. https://merzbarnlangdale.files.wordpress.com/2015/09/01-sonate-in-urlauten-2.mp3The only recording of Kurt Schwitters reading an excerpt from the ‘Ursonate’. Schwitters’ influence on the development of contemporary art, sculpture and architecture continues to be ever more widely acknowledged. Kurt and Edith in the Lake District. Photo Yale University, Dreier archive.